Rosemount Hotel in Pitlochry Scotland . . .
Rosemount Pitlochry is one of the hotels near Pitlochry centre, sitting just two streets back from the High Street and, therefore, located just a short stroll from the very centre of Pitlochry. We enjoy beautiful views and a peaceful location. On a balmy day, nothing is more pleasant than to stroll down the gentle slope to the town centre, admiring the characterful Edwardian architecture and beautiful gardens enroute. There is a huge choice of things to see and do, but sometimes, just being in a beautiful place is enough. 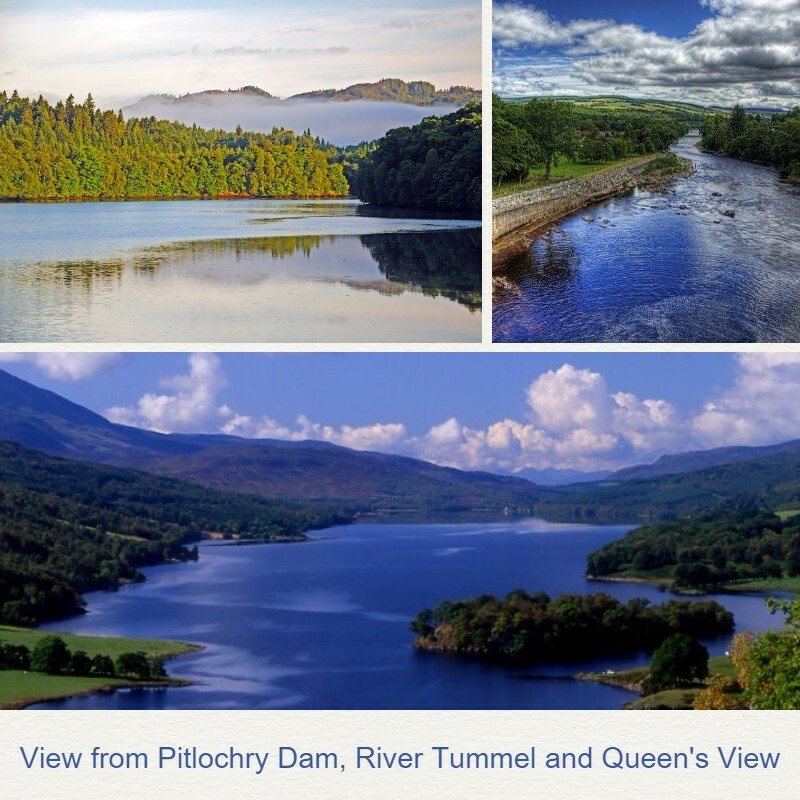 We would urge you to take advantage of our discount accommodation Pitlochry offers or hotels deals in Scotland and spend some precious time in this gorgeous place. Naturally, best offers are limited and get taken quickly, so please book soon! Due to a constant drive to provide the best value special offers available, we always keep a careful watch on local pricing so that we remain truly competitive amongst Pitlochry hotels. Our Discount Accommodation Pitlochry Scotland is therefore finely tuned to offer the most compelling value at any price level. Our location is simply lovely, enjoying beautiful views of hillside scenery. Reviews describe us as Pet friendly, with good food and a friendly and highly motivated staff team. Room-rates are always competitive, thereby giving great-value discount accommodation Pitlochry and last-minute deals. 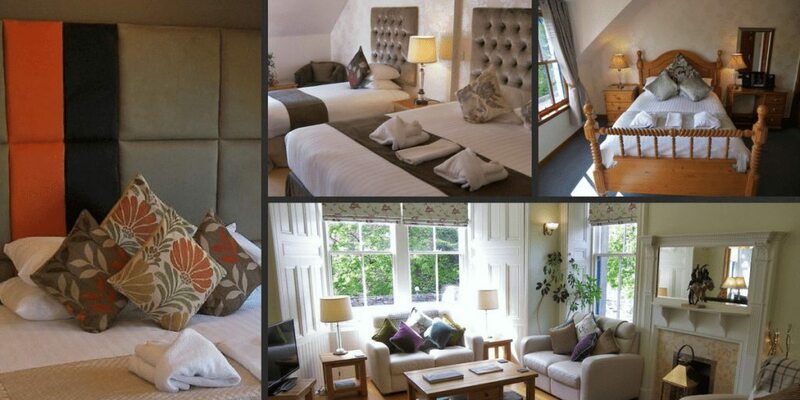 Be sure to check us out from time to time for Last minute Hotel Pitlochry offers. Cheap Pitlochry hotels offers are available right now for early bookings at Rosemount Hotel Pitlochry Scotland and last minute deals Scotland. This is one of the hotels near Pitlochry Town Centre, itself. For holiday-seekers wishing to take advantage of late availability offers, our Last minute hotels Scotland offers and last minute accommodation Pitlochry discounts also apply during quieter periods. Enjoy free nights when booking longer stays. Search the full length of stay to see if this offer applies. We regularly check local rates to ensure our cheap Pitlochry hotel offers are highly competitive and give great value to our customers. Rosemount may not always be the cheapest, but hard work goes in to ensure that the greatest possible value is given at any rate. Please remember, you’ll always get the best rates for direct bookings. Please check your required dates in the review box to the right of this column. It would be great to see you!